A final push to reauthorize the Juvenile Justice and Delinquency Prevention Act (JJDPA) before the midterm elections has passed through the House of Representatives and has now moved to the Senate for an attempt at unanimous consent this week. JJDPA, a 44-year-old law that trades federal grants for compliance with basic juvenile justice standards, has not been reauthorized since 2002. The House and Senate both passed bills in 2017 to reauthorize the Juvenile Justice and Delinquency Prevention Act (JJDPA), with the idea of conferencing out the differences. But infighting between the chambers about which version to use has held things up since then. Late on Friday, the House approved H.R. 6964, a version of reauthorization that includes most of its 2017 bill, plus the Senate version’s language on accountability metrics for the Office of Juvenile Justice and Delinquency Prevention. The House also passed this without a parallel reauthorization of the Runaway and Homeless Youth Act, which had previously been attached. It will now come down to whether a reauthorization bill survives a “hotline” attempt in the Senate to achieve 100 percent support. A hold by any Senator would again stop reauthorization in its tracks, leaving the lame duck session after November as the last window for 2018. 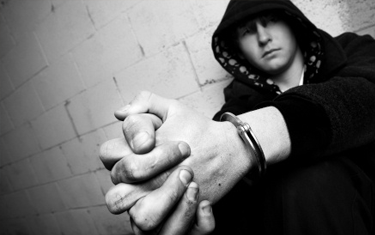 Not locking up youth for committing status offenses, crimes like truancy that would not be a crime for an adult. Removal of juvenile offenders from adult jails and prisons, with very limited exceptions. In those very limited exceptions, sight and sound separation of juveniles from adults in facilities. Making efforts to research, identify and address disproportional minority contact (DMC) in the juvenile justice system. States receive a formula grant for compliance with those standards, and face a 20 percent cut to the grant for each part it does not comply with. For decades, Wyoming was the only state that did not participate in JJDPA. In recent years, that list has grown to include Connecticut and Nebraska. The Senate Judiciary Committee moved a bipartisan reauthorization bill several times during the Obama administration, with no reciprocal action by the House. More recent iterations of JJPDA renewal have not included a key provision championed by juvenile justice advocates: a phasing out of the valid court order exception (VCO), a loophole that makes detentions for status offenses permissible if done in violation of a previous court order. The VCO provision was opposed by Sen. Tom Cotton (R-Ark.). Since leaders have been unwilling to put reauthorization up for an actual floor vote, in which it would easily pass, Cotton’s lone hold has prevented passage of JJDPA for several years.